CRAVEN, Elizabeth, lady. A Journey through the Crimea to Constantinople. In a Series of Letters from the Right Honourable Elizabeth Lady Craven, to His Serene Highness the Margrave of Brandebourg, Anspach, and Bareith. Written in the year M DCC LXXXVI, London, G. G. J. and J. Robinson, 1789. CRAVEN, Elizabeth, Lady. 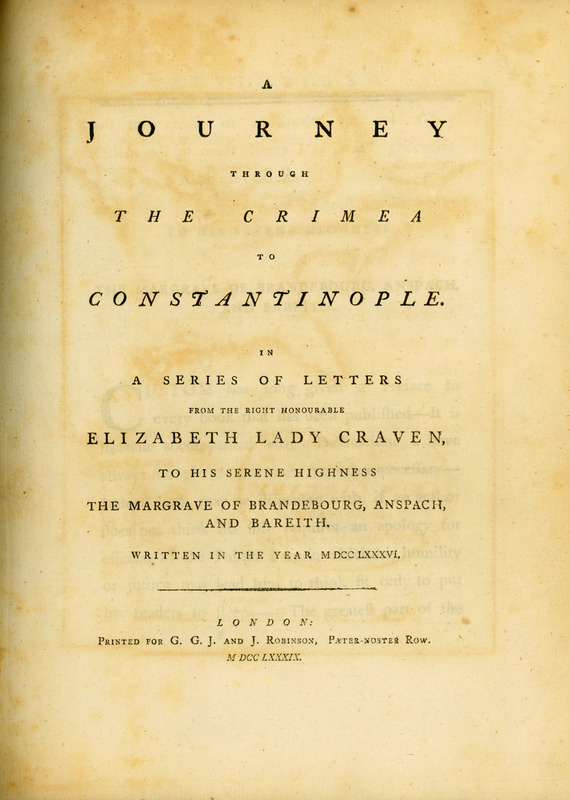 A Journey through the Crimea to Constantinople…, London, G.G.J. and J. Robinson, 1789.